Let’s face it, road trippers and RVers use a lot of fuel. Not only are RVers on the road for long stretches of time and miles, but trailers and motorhomes are known to guzzle down some serious gas whether they’re using diesel or not. 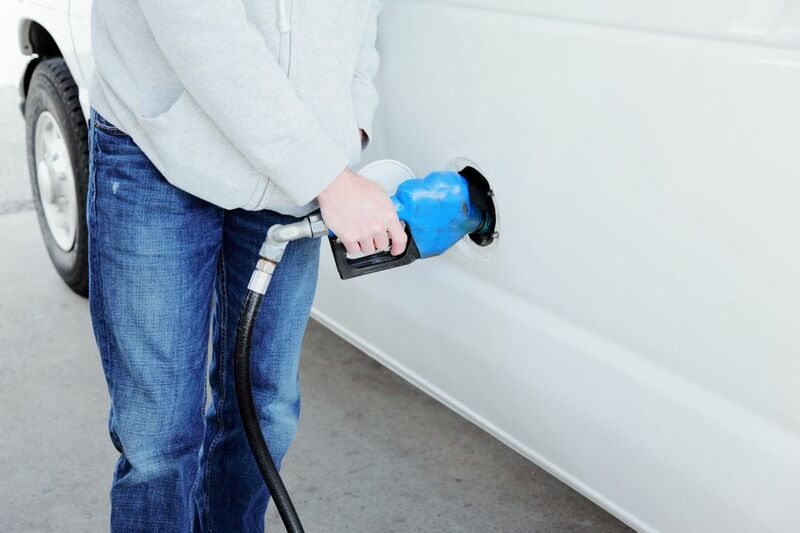 It’s no wonder that RVers are constantly looking for ways to save a few bucks at the pump. Luckily for you, we have nine great tips to help you maximize your gas mileage and save money on your next big adventure. Tires can play a huge impact on the fuel efficiency of your RV. Old, underinflated or overinflated tires can all have a negative effect on your fuel consumption. Check your tire pressure often to make sure it matches your manufacturer’s recommendation. Make a note to check your tires after undergoing dramatic shifts in elevation as well. Pro Tip: Before you begin RVing or road tripping for the season, get your towing vehicle, or RV inspected. Replace tires if necessary and make sure they’re in prime condition before hitting the road. The way you speed up and brake will have a large impact on your gas consumption. Going pedal to the metal, dramatic accelerations from stops and other driving techniques that push your RPMs will also drain your tank. Keep your speed steady, take it easy from stops and keep your ride smooth to give your rig more miles per gallon. Weight is, of course, a big factor in fuel efficiency. The more weight you are hauling, the more your engine must work. Find ways to cut down weight like avoiding carrying full propane tanks, purchasing your supplies closer to your destination and generally packing less. Making several small changes will lessen your load by hundreds of pounds. Pro Tip: Don’t bring what you don’t need. Overpacking is common on any trip whether you’re RVing or not. Only bring what’s necessary, trim what you’re loading, and save no matter the destination or the mileage to get there. Continuing with weight, tongue weight is the amount of weight placed on your vehicle from a trailer. Not only will an overloaded tongue make your car more difficult to drive but it will also make your vehicle work harder and use more fuel. Make sure your tongue weight meets manufacturer guidelines to balance your load and consider a weight distribution hitch. Like an overloaded tongue, an unbalanced RV will also cause your vehicle not to function as efficiently as a balanced one. Try to keep heavier objects closer to the floor of the vehicle and balance out the load in the front, rear and sides of it as well. Pro Tip: Practice loading your RV to ensure it’s balanced and what you’re bringing is in its proper place. This not only will save you on gas, but it’ll also guarantee a safe and even load for towing and traveling. Routine maintenance helps keep your RV’s engine functioning, maximizing its fuel efficiency. Make sure to regularly have your ride checked out by a certified mechanic to take care of oil changes, air filters, tune-ups and any other work to keep your engine purring perfectly. Many small things may only save you a few drops of fuel by themselves but adding them all up will make a difference. Things like idling the engine, using air conditioning or keeping your windows down at high speeds will bleed the tanks. Mind these small things to make a big difference. Pro Tip: Let yourself appreciate being uncomfortable every once in a while by turning off the AC and letting the wind keep your cool while driving. This will conserve fuel and save you money on gas mileage for your trip. If you’re a member of a discount RV community, such as Good Sam Club, chances are they have a free fuel finding service. These programs will scan your area to help you find the cheapest fuel near you. They’re also several free websites such as Gas Buddy that can handle the task as well. Fuel prices tend to go up during the weekend, no matter where you are. That’s why we recommend filling up your tank in the middle of the week to find the lowest prices. This is not always the case, but most areas follow this pattern. Pro Tip: Consider filling a gas can or two with fuel during the week to top off with during your trip. This will allow you to save money on and not hit the pump during peak times or in tourist traps. Taking the time to bring down your fuel costs is one of the perks to RVer that’ll save you money long-term. By budgeting for fuel, planning your RV road trip down to the smallest detail, and sticking to your plans the best you can, you will save on all the costs associated with your vacation.